Hello friends! Last week we shared beta versions of levels 1-10 of all eight Torchbearer classes with you. 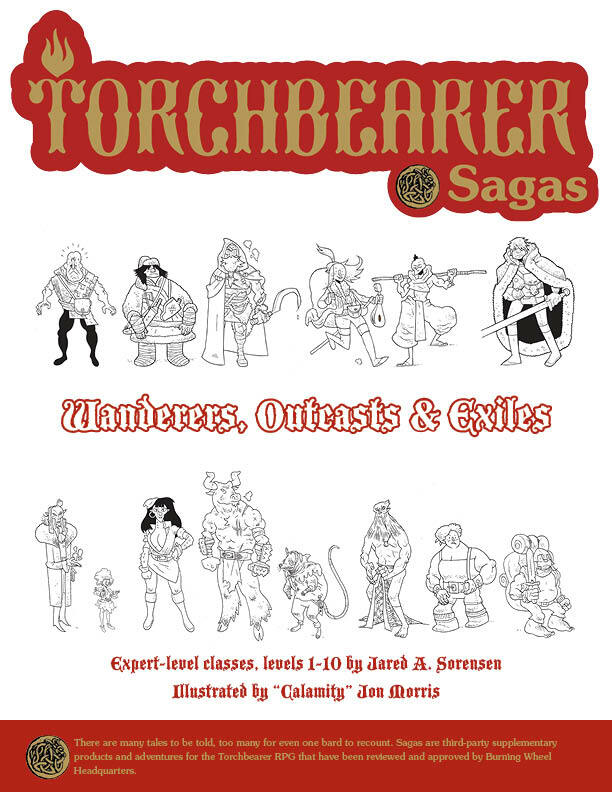 For manageability, we’ve now collected the PDFs into a single document for you: Torchbearer Classes Levels 1-10. We came out of the gate strong yesterday with the dwarf adventurer and human cleric, but there are still three days of holiday gifts from BWHQ. For a time, it looked like the human warrior would carry the day, but the human thief — one of the bonus classes that we promised during the Kickstarter campaign — stole it in the end. 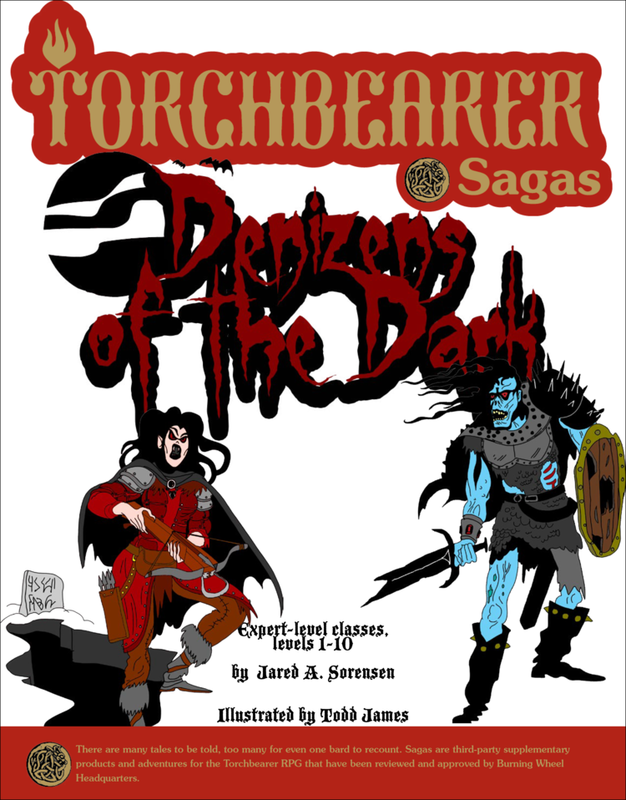 Shane King and partner-in-crime Hayes Edgeworth have brought us a new Torchbearer magic system, Rune Casting, along with two new classes that use it: the Dwarf Wanderer and the Fisk Gambler! – The dwarf wanderer, who walks many paths. – The fisk gambler, who presses his luck. No longer are runes the exclusive domain of hidden wizards and proud dwarf clans. Whether you will boon your companions with unmatched strengths, or curse your enemies with confusion and withering, the power of rune casting is yours to wield. But speak the phrases properly, adventurer, for the consequences of trifling with such gifts from the ancients are great and heavy! Shane will be happy to answer any and all questions about the Rune Casters at the Torchbearer G+ Community.